Easter this year was very low key – and this was totally needed and 100% embraced. I don’t know about you but term one of the school year was just so busy. I feel like I have barely been able to catch my breath. I took the first week of school holidays off on leave from work to hang out with Mr 6. My plan was, in addition to some down time and hangs with my biggest kid, to try and catch up around the house. And while we had lots of fun I didn’t get though my to do list. But sometimes I guess you just need to take a break. One thing we have been doing is baking. Lots of delicious baking. And more specifically baking these Double Chocolate Peanut Butter Cookies. They are a BIG hit with my family. 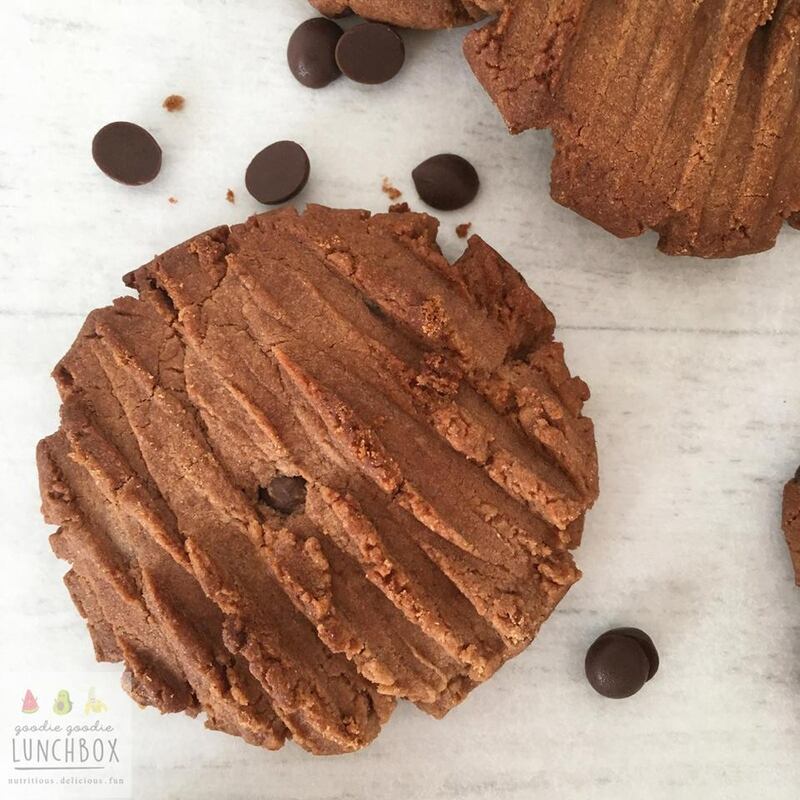 As we are a nut-free school we cannot take these amazing Double Chocolate Peanut Butter Cookies to school. But as it’s the holidays we can eat these with wild abandon. And believe me I have been. 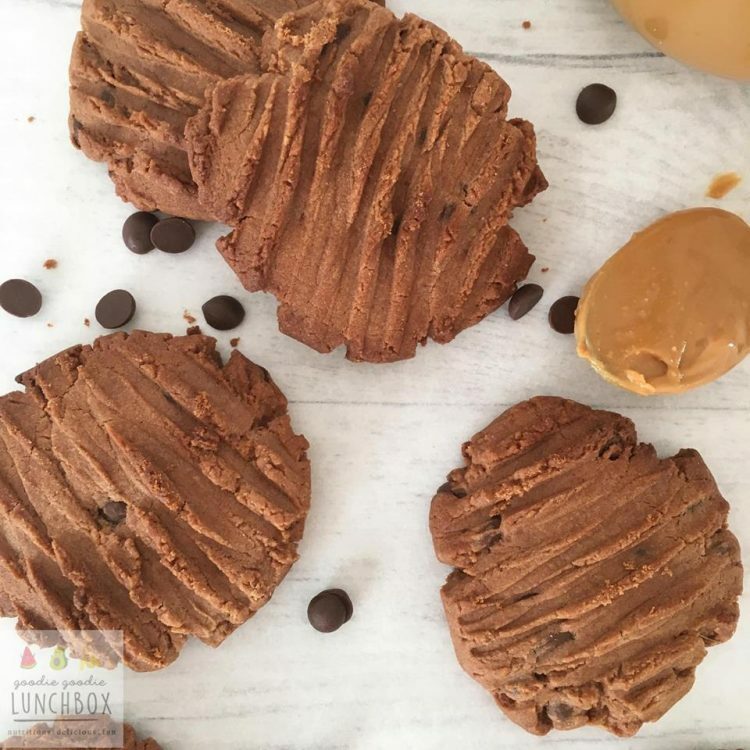 I have to confess, I may have amped up the peanut butter in these a little more by slathering on a teaspoon on the cooked cookie before demolishing in a peanut butter chocolate frenzy…ermighad. So good. Just don’t judge me. I just love the peanut butter chocolate combination. Sooo good. And if you do too you could also try these delicious Peanut Butter Choc Chip Pancakes. 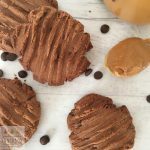 And here is a tip for you, instead of using the traditional chocolate chips in these Double Chocolate Peanut Butter Cookies, chop up leftover Easter Eggs and use those delicious shards of chocolate goodness instead. I know some of you might be all like ‘what leftovers? !’ But in my house for some reason we always tend to have a few eggs knocking around until September. So this is a good way to use them up. PS if you are looking to get some inspiration for lunches next term check out my School Lunch Guide.